iLeads.com® has found that online consumers drove over $50 billion in residential loan origination dollars. Newport Beach, CA, February 21, 2018 --(PR.com)-- In a funding analysis of over 2 million Internet-generated mortgage leads generated between June 1st, 2017 through September 30th 2017, iLeads.com® has found that online consumers drove over $50 billion in residential loan origination dollars. Utilizing their nationwide lead collateral analytics solutions, iLeads.com® was able to determine that over 161,000 leads in this group of leads resulted in a funded loan after the date of generation. The sample study was pulled from a select group of the largest Internet lead sources for the period. Below are some of the data points from this study (additional data points available upon request). This study shows mortgage originators continue to find great financial success by using the Internet lead channel to acquire new customers. The study also shows, that there is great untapped potential remaining in consumers who have raised their hand via an Internet lead form but have not originated a loan yet. The iLeads.com Internet Mortgage Lead Funding Study is an ongoing initiative undertaken by iLeads.com to provide funding statistics for the origination of Internet generated mortgage leads. Previously an annual report, iLeads.com is pleased to announce that the report will be updated monthly (trailing) and will include a year-end recap. 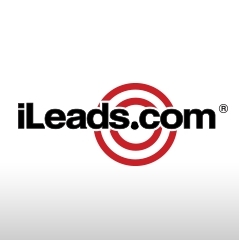 iLeads.com® was founded in 1996, and is the nation’s leader in helping Lenders understand and derive value from their largest spend: customer acquisition. Counting both the largest non-bank lenders, as well as leading Internet lead generation firms as clients, iLeads.com LeadXL analytics platform currently witnesses over 10 million Internet mortgage leads monthly. Our unique analytics allow lenders to understand both what is occurring on their own sales floor, as well as gaining insight into what is occurring with their competition. Our analytics drive marketing and sales decisions that power online lending origination.